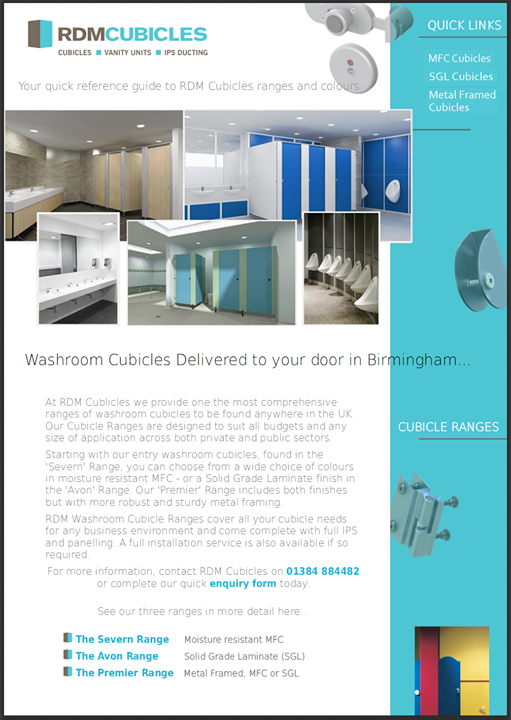 RDM Cubicles is a West Midlands based supplier that offers cubicles for use in Offices, Schools, Medical and Leisure environments delivered to sites throughout the UK. Our extensive product range meets every requirement and budget. 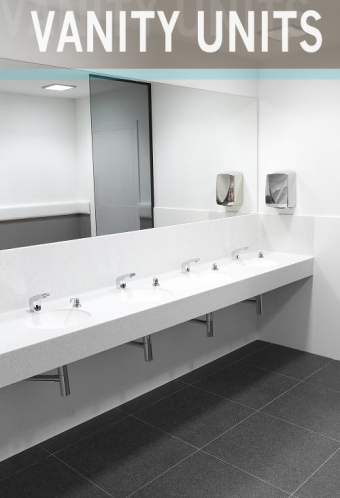 It’s not just cubicles; it’s a full washroom solution including vanity units (both solid surface and post formed laminated tops) and IPS systems. Right from the start of the process we work with you to select the most suitable solution for your project. A site survey can be arranged and conducted and when all aspects have been identified a full quotation is detailed. CAD drawings are provided as part of our quality-driven culture. 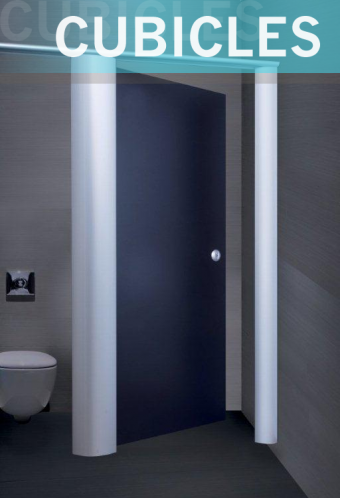 These can be developed into 3D designs to ensure visualisation and validation of your washroom. For manufacture, our investment in state of the art equipment includes a recently installed CNC machine. Throughout the process we are committed to top quality service and on-time delivery. 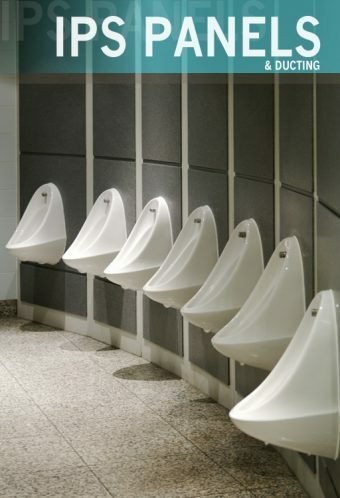 A fitting service is available from our experienced installation team.